It’s Friday and the world looks a little brighter today because Ryan is coming home from traveling. The weeks he’s gone are hard, and not always because they are “hard,” but because I just miss having another adult around to talk to at night. Soooooo…..he’s home today and it’s my favorites issue 6 day. Friday morning. Winning. 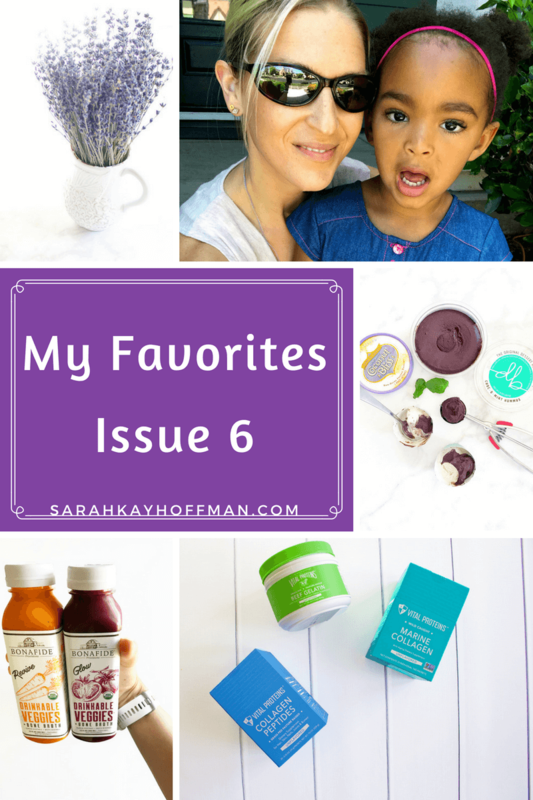 It’s Fri-YAY, which means it’s time for my favorites issue 5. I recently found this quote which is suuuuuuper inappropriate, but it makes me laugh every single time. Inappropriate, right? But so spot on. Bowling. Well, kind of. 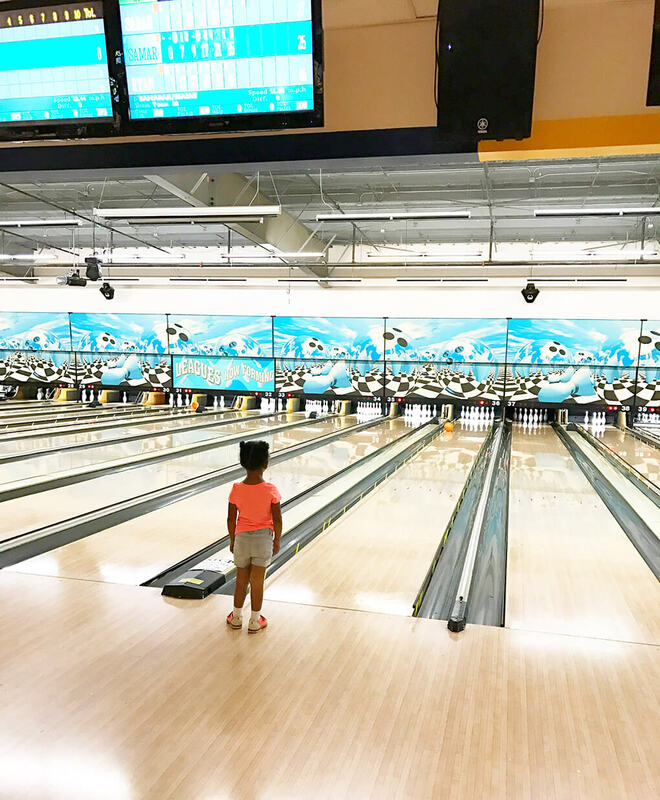 So last night we went to a Foster Care Appreciation night, and it was held at the bowling alley. I don’t want to brag or anything, but back in the day, I was a decent bowler. Growing up, my cousin Bill and I did a Saturday morning bowling league for quite some time. Junk food and bowling. Perfection. These days? Nah. Not really into it. But it was Samarah’s first time, and she really loved it! I met a woman at the event who told me to get some “Pink Lotion” for Amiya’s hair. I’m telling you….the hair conversation. It’s a real thing. Pajama Rama Jamas. Guys…..THANK YOU!!!! People are already so interested in helping with pajama donation to foster children. Remember, I’m collecting the jamas throughout all of May, so help if and where you can. My heart thanks you. Top Tips for Picky Eaters. This week I was featured in Delicious Living Magazine’s article on top tips for picky eaters. Check it out. But also, always remember that there is no right answer to parenting. Dr. Bronner’s Tea Tree Castille Soap. I have talked about Dr. Bronner’s a ton around here, and recently I started using it daily as both a body soap and shampoo. I have super fine hair, so maybe that’s why I can get by with using it as a shampoo, but I’ve been loving the method. When this bottle runs out, though, I’m going to switch to the Lavender one because I currently have a slight obsession with Lavender and Vanilla. Five Blogging Rules I Break Every Day. I really enjoyed this blog post from Ashley. All the loud yes’s for it. I’m a rule breaker like this, too. Lion. Have you seen the movie Lion yet? My cousin and a friend in the Midwest messaged me that we needed to see it. So we did last weekend. Lion tells the incredible story of a boy from India who gets lost then is adopted by a couple in Australia. Later in life, he longs to seek out where he came from and his birth family. 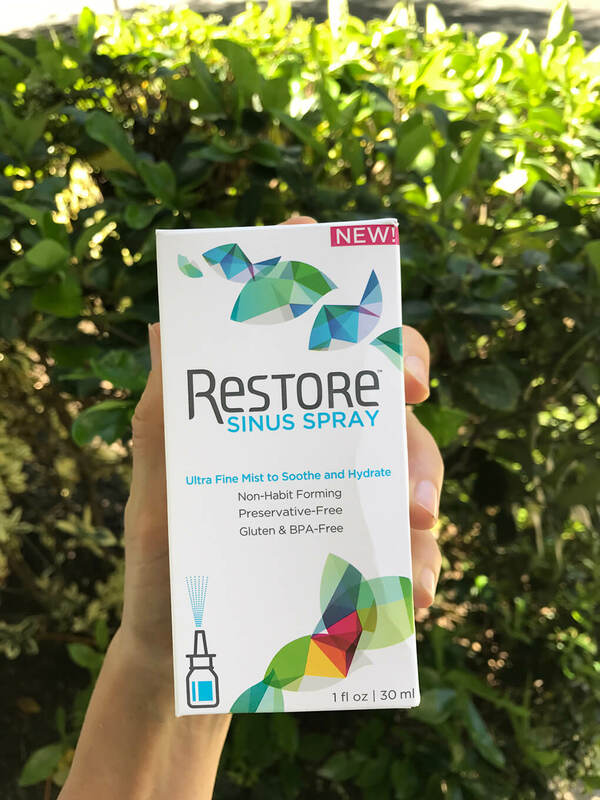 Restore’s Sinus Spray. I have mentioned Restore a few times in the past, for their gut product. While at Expo West, they gave me the new product, their Sinus Spray, to try. I don’t have a ton of sinus problems, but allergy season is in full effect, and Ryan does from time-to-time. I am super excited to have him use it to see how it works. The Sinus Spray is intended to cleanse, soothe, and hydrate the delicate membranes lining your nasal passages. (It is the same formula as Restore’s liquid mineral supplement.) It’s the perfect rinse for the dust, pollen, and other airborne particulates and irritants we are exposed to in our daily environment. 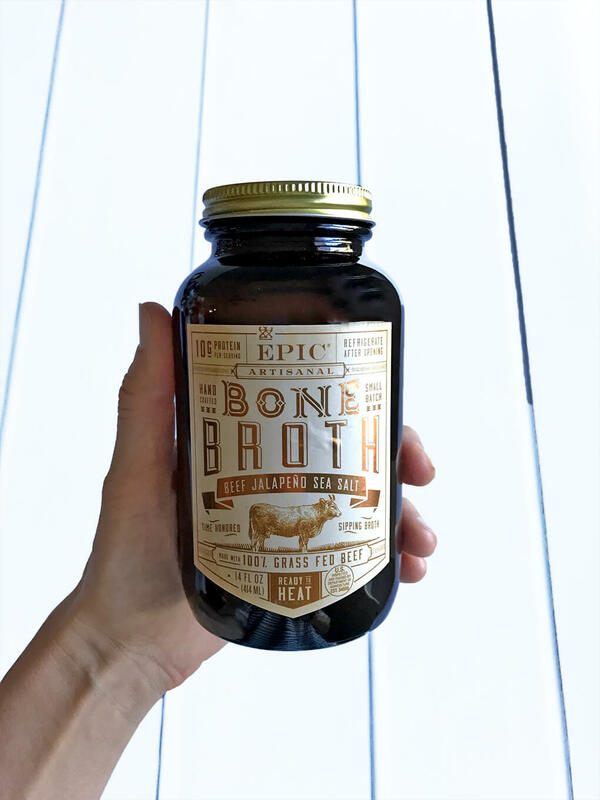 Epic Broth. 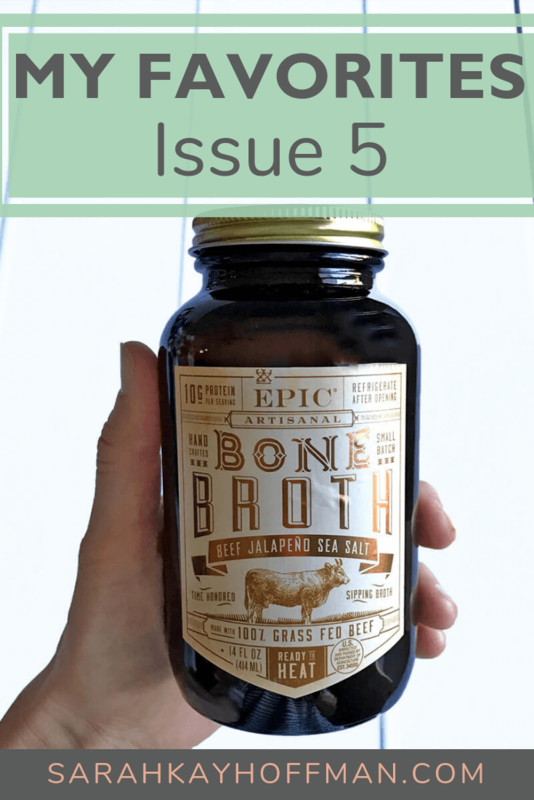 You know I think you should be making and drinking bone broth on a regular basis, yes?! Duh. Well, just like with the on-the-go bars from yesterday, I am realist when it comes to all the eats. I know that sometimes you’d rather have someone else make a batch of broth for you. In that case, I need to share with you Epic’s Beef Jalapeno Sea Salt. It’s way too good! 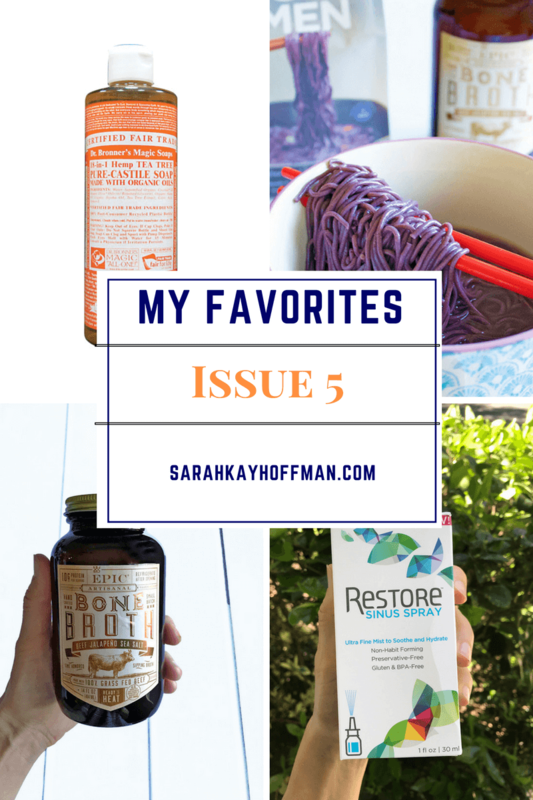 This week I used it with some Lotus Food Forbidden Rice Ramen Noodles for a project, and then the kids and I ate it. Huge hit! In fact, we did another round of it yesterday because they have started asking for “noodles ‘n brof.” Also, this product is totally Certified Gutsy! Cindra Kamphoff on Tina Muir’s Podcast. Cindra stated, “Things happen for us, not to us.” It needs no other explanation. Just let that sink in. 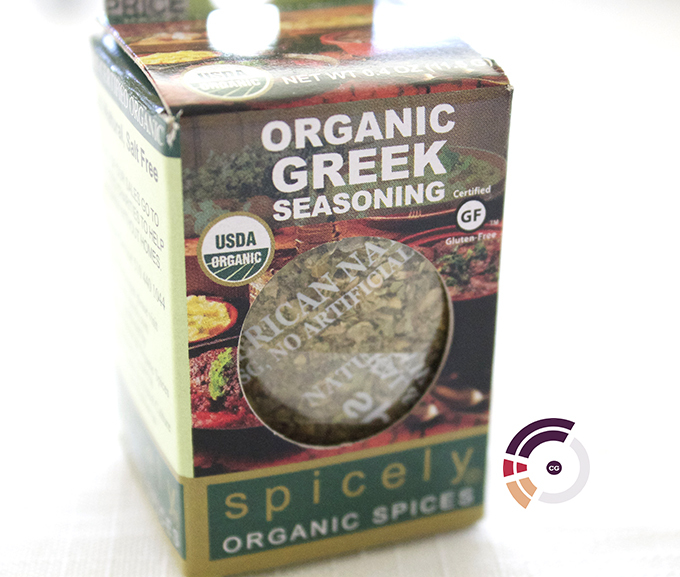 I have Certified Gutsy Spicely Organics Organic Greek Seasoning. I recently received an entire package of Spicely Organics products from Whole Foods. The seasoning was a hit, and so I certified it Gutsy. These little packets are not cheap, (they are cheaper on Amazon) but they are tasty. I really love how all the ingredients are organic and that the mixes (like this Greek one) are perfectly put together. 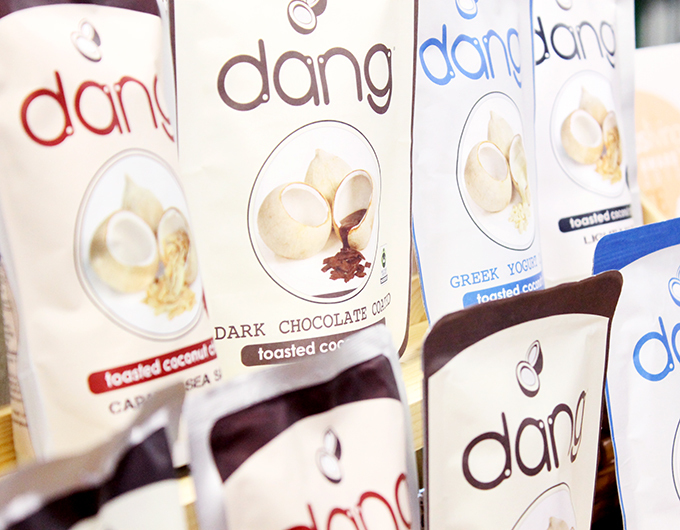 100% organic, kosher, vegan, salt-free, gluten-free, Non-GMO Project Verified and Fair Trade Certified. I loved using it in my Greekball recipe, and I think it could go in a ton of different recipes. Since this bag is so small, it’s even a seasoning I would bring out-and-about and while traveling (I order things “plain” a lot). It would be great in a homemade salad dressing or maybe even mixed in with a grain and gluten-free bread, biscuit or cracker recipe. Chili is a pepper, which is a nightshade (a particular kind of lectin) that can irritate many who have autoimmune conditions or severe leaky gut. The amount of chili you would ingest via this spice mix is almost nil, but yet you should be aware of it, in case “almost nil” is still too much for you. Have you had this mixed spice before? What do you do with spices? 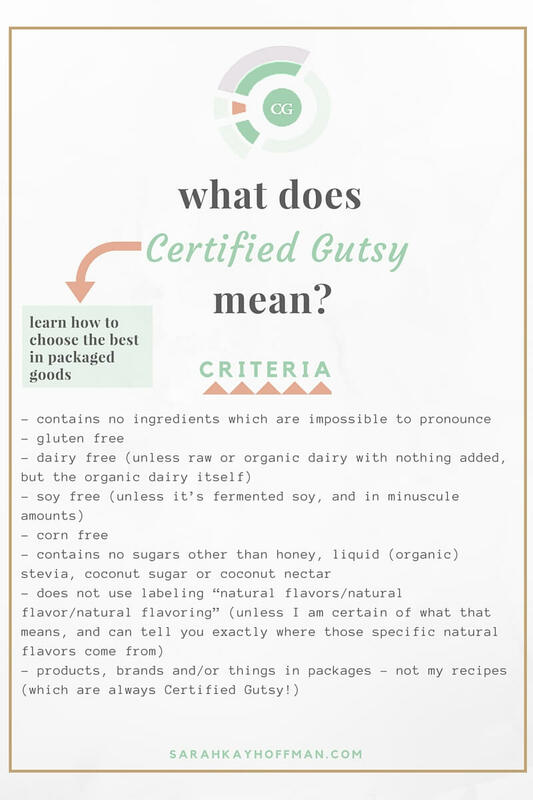 Pin it to add to your own Certified Gutsy board (or just follow mine). 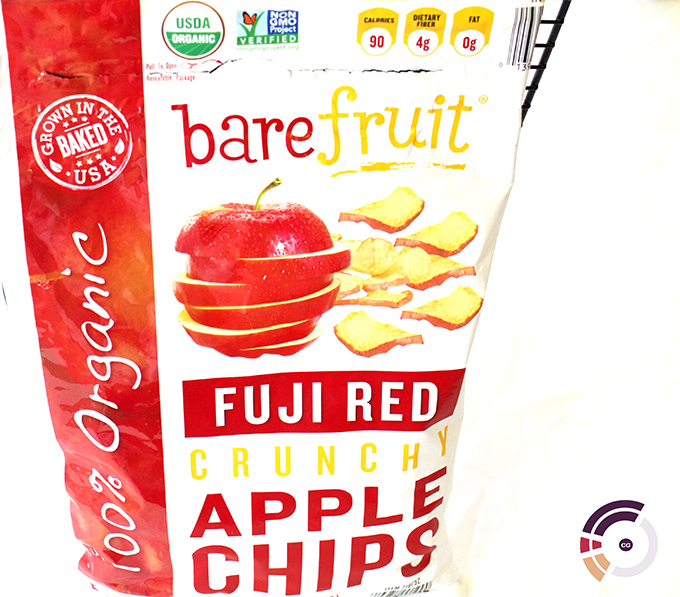 I have Certified Gutsy Bare Fruit Organic Fuji Red Apple Chips. Costco’s Organic section is growing by the day, which is super awesome….kind of. Alas, I do have one of them to share with you today. Ryan made a note: these are addictive. I warn you, they are super addictive. 100% organic, kosher, fat-free, gluten free with no added sugars, preservatives or additives and Non-GMO Project Verified. 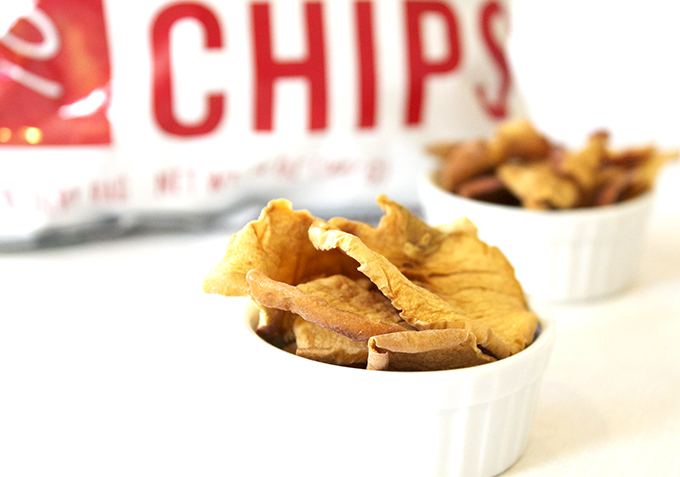 They are, literally, just organic dried apples. I would eat these all on their own, standing in my kitchen one after another 🙂 I’d also take them in small baggies for on-the-go travel. They would be good as a crunchy salad topping. Some Gutsy women have a hard time digesting both a) the skin on apples and/or b) the apple itself. Apples are a high-FODMAP food, and thus many of us need to eat them in appropriate portions (typically 1/2 c or less per sitting, if at all). Have you had them? What do you think? What would you do with them? Pin it to add to your own Certified Gutsy board (or just follow mine). Have a product you want to be reviewed for potential Certified Gutsy status? Contact me! After my recent traveling adventures, I realized that while 24/7 home cooking and controlling every single ingredient consumed is unrealistic, eating quality products on-the-go must now be non-negotiable. It is my only option. 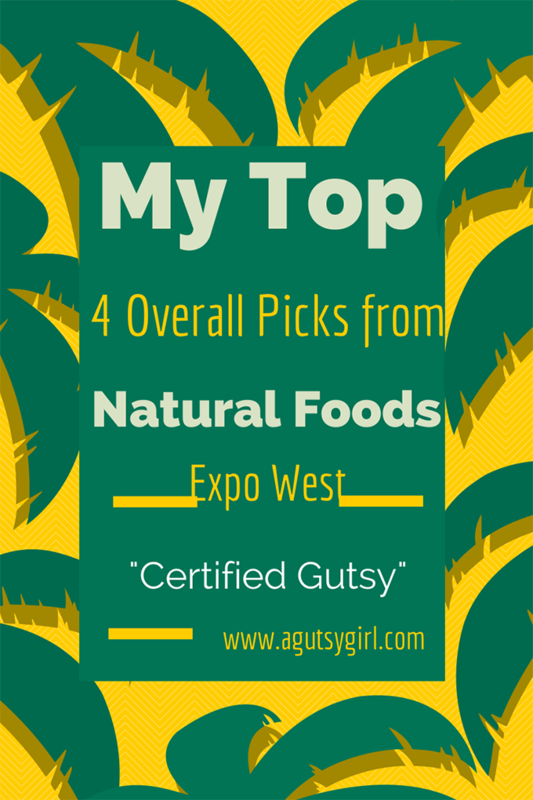 My top 4 overall picks from Natural Foods Expo West 2014 was extremely hard to narrow down to. It was so hard that when I was told to pick 3, I ended up choosing 4 (per the usual, marching to my own beat)! There was one main criteria for my top picks: minimal ingredients to fall in line with my life motto of living unprocessed. All products below are Certified Gutsy. Bananas have been a key “sweet” ingredient for me to have on hand at all times during my gut healing journey. Bananas are a monosaccharide, and I adore them. 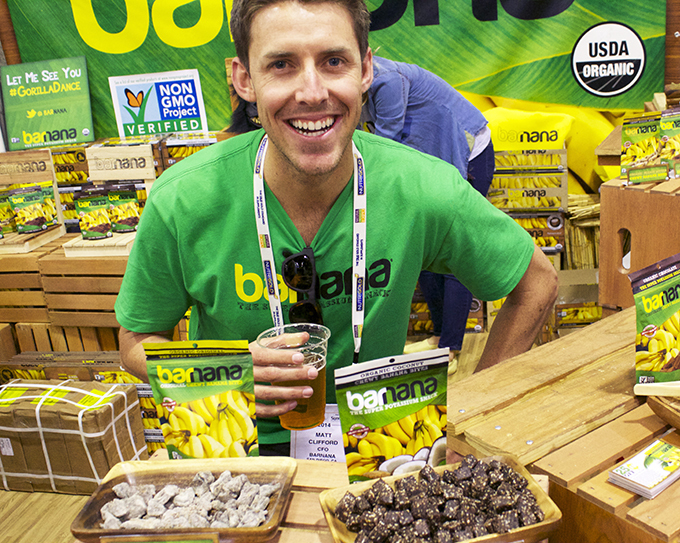 Since bananas are my favorite fruit, it should come as no surprise that these unprocessed banana bites were a favorite. The concept behind them is simple: take a single ingredient and make it the main event (like others have done and are beginning to do ->, Pomegranate seeds, Chia seeds, etc.) <- at least this is what co-founder Matt Clifford told me. 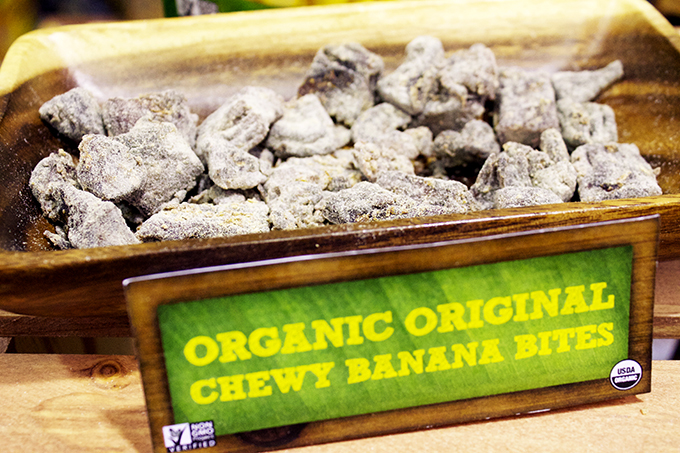 The Barnana Organic Original Chewy Banana Bites are a top find because they are chewy, delicious and non-GMO. 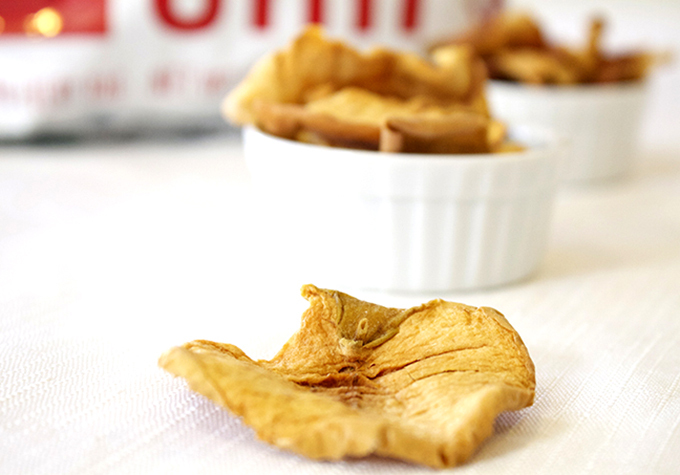 They have officially stolen my heart as a new way to snack on bananas. 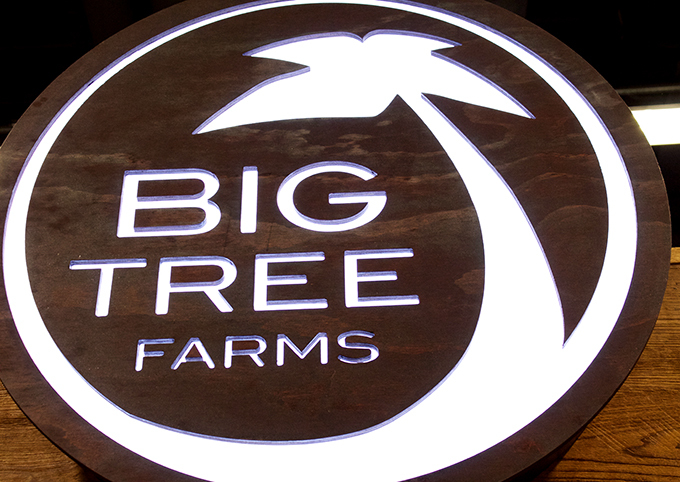 I have loved Big Tree Farms for a while now, and have always used their Coconut Sugar. 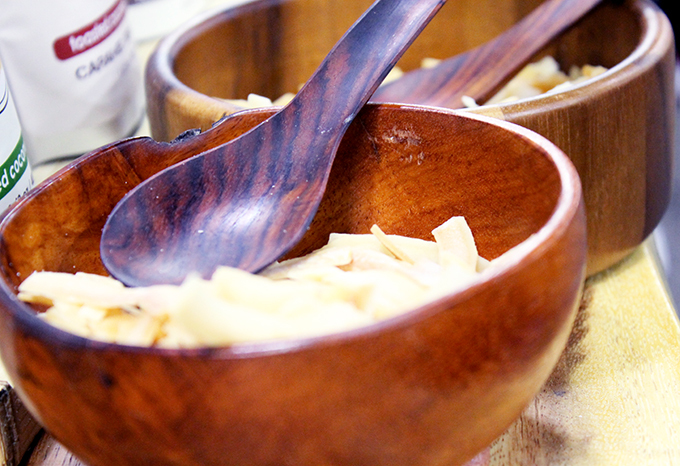 I first tried their Coconut Palm Nectar at the Fancy Food Show West a couple months ago. I took some home with me and began playing around with it. Ryan even took a liking to it immediately! So when I saw it again this past weekend, I investigated it a little more. 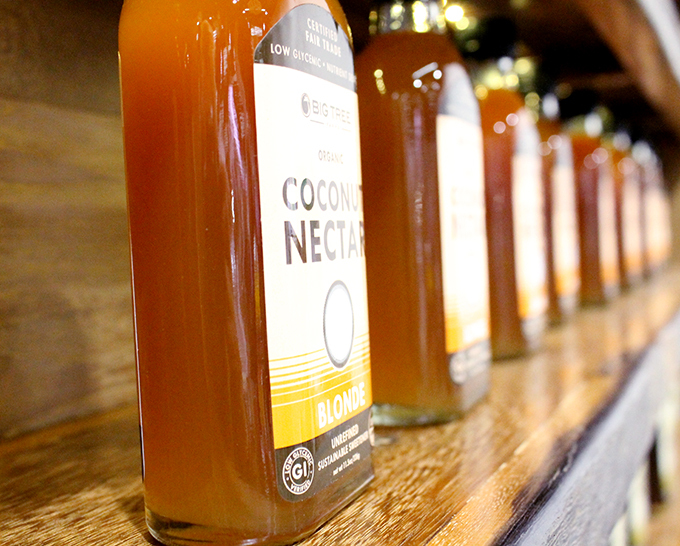 The Coconut Palm Nectar, Blonde is a top find because it is, “100% pure coconut flower blossom nectar, which means it’s low glycemic and high nutrient.” They never mix with cane sugar, and the company adheres to top-quality standards. Ingredients: Organic Coconut Flower Blossom Nectar. The nectar will be perfect for baking, drizzled over fruit and even as the perfect dash of sweet to my coffee. Cliché, but dang the Dang Foods toasted coconut chips, caramel sea salt were amazing! I eat coconut daily: coconut oil, coconut milk, coconut flour, unsweetened coconut, coconut butter and now, coconut chips. I will likely develop recipes with these, and have them along with me for general snacking and travel eats. Dr. Bronner’s is a company that stands for so many unbelievable things. 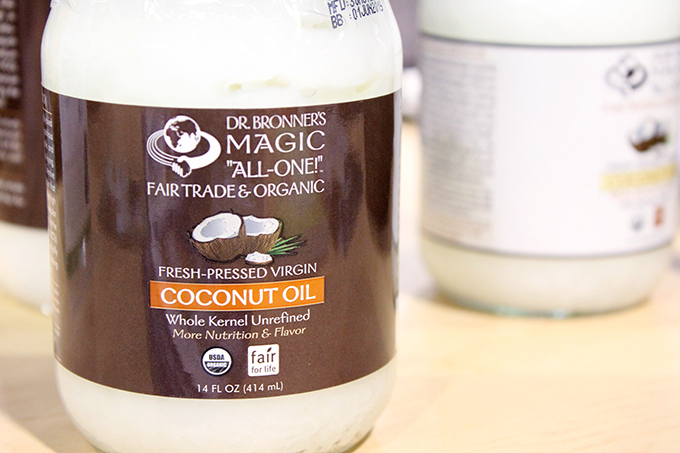 They have a deep and true commitment to organic integrity, labeling GMO’s and Fair Trade practices. 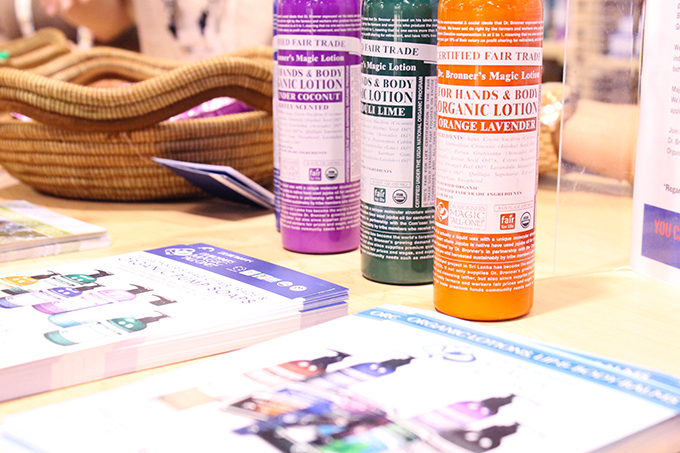 I had been using their Castile Soap for various things already when I had the pleasure of meeting with their team at the Expo. I learned so much more about their company, and I truly felt their passion with and in everything they do, say, believe and produce. They taught me more about Fair Trade, and I began to look deeper within on my own desires to make more of a commitment to the practice. And at the end of the day, isn’t this what all companies, people, and brands should stand for?